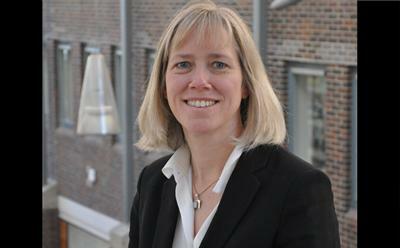 Professor Rebecca Taylor has been appointed as the new Chief Executive Officer of the University of Southampton Malaysia (UoSM). Professor Taylor will also serve as Pro Vice-Chancellor (ASEAN), taking a leading role in engaging partner organisations and representing the University in the ASEAN region and elsewhere around the world. Now in its sixth year of operation, UoSM offers split campus (UK and Malaysia) degree programmes as well as postgraduate research opportunities in engineering within the EduCity development in Iskandar, Malaysia, the nation’s economic zone located in Johor just minutes from Singapore. “I’m delighted to be joining the University of Southampton Malaysia and particularly pleased to have my appointment confirmed by the Malaysian government with whom we have a very close working relationship,” said Professor Taylor. “We have an outstanding team in Malaysia who are fully committed and engaged in building on Southampton’s continued success. A highly experienced educator and academic leader, Professor Taylor’s research interests lie in the field of International Economics and Developments in Economics Education. Throughout her career, she has designed and directed projects focussed on innovative approaches to the teaching and learning of mathematics and statistics in Economics. She has also worked with the Economic and Social Research Council and the Higher Education Academy on addressing the identified skills deficit in quantitative methods across the social sciences. Professor Taylor is the Vice President (Academic) of the European Foundation for Management Development (EFMD), the organisation that awards EQUIS and EPAS accreditation to Business Schools globally, and she is a member of the Board of the Chartered Management Institute Malaysia. She is also the Chair of the European Online Course Certification Board (EOCCS) and regularly contributes to conferences and workshops related to developments and innovation in higher education.